It's safe to say that none of Google's products have been spoiled like the Pixel 3 and Pixel 3 XL. 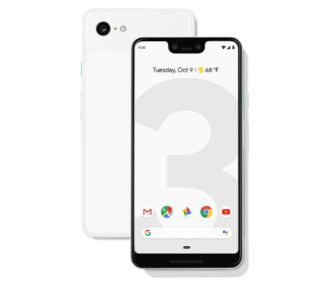 Beyond the usual press renders and wild sightings, a number of stolen Pixel 3 XL units ended up in the hands of bloggers. There was almost nothing left to the imagination by the time Google officially showed off the pair of phones, but the company still had to go through the process of formally introducing the two devices today. Despite the many wishes for a notch-less 'Pixel Ultra,' the Pixel 3 XL is exactly what everyone expected. It's equipped with a Snapdragon 845 processor, 4GB of RAM, and a 6.3-inch 2960x1440 OLED screen. The large notch on the front contains two 8MP front-facing cameras, one of which can be used for wide-angle selfies. Google is still going with a single rear camera, at a resolution of 12.2MP. 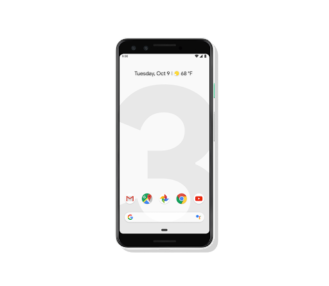 The Pixel 3 XL also supports wireless charging, something that has been missing from Google's phones since the Nexus 5X/6P. The back panel is a soft-touch glass, and Google says the speakers are 40% louder than the Pixel 2's. The smaller Pixel has a slightly different design, with uniform bezels instead of a display notch. It has the same internal hardware, camera setup, and wireless charging support. The main difference is that it uses a smaller 5.5-inch 1080p display. Both phones will be available in three colors - Clearly White, Just Black, and Not Pink. According to the Project Fi website, pricing starts at $799 for the smaller Pixel, and $899 for the Pixel XL.